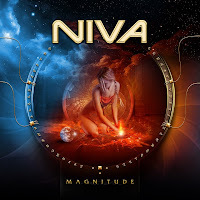 Rock & Metal 4 You: CD-Review: Niva - "Magnitude"
What have Swedish Erotica, Axia or Oxygen in common? They are all bands from Sweden and Tony Niva was part of them. After two solo records he released his third effort "Magnitude" some days ago. It's music from Sweden, so what can we expect? Right, AOR and Melodic Rock with big melodies, tons of hooks and cliches. Here we go! 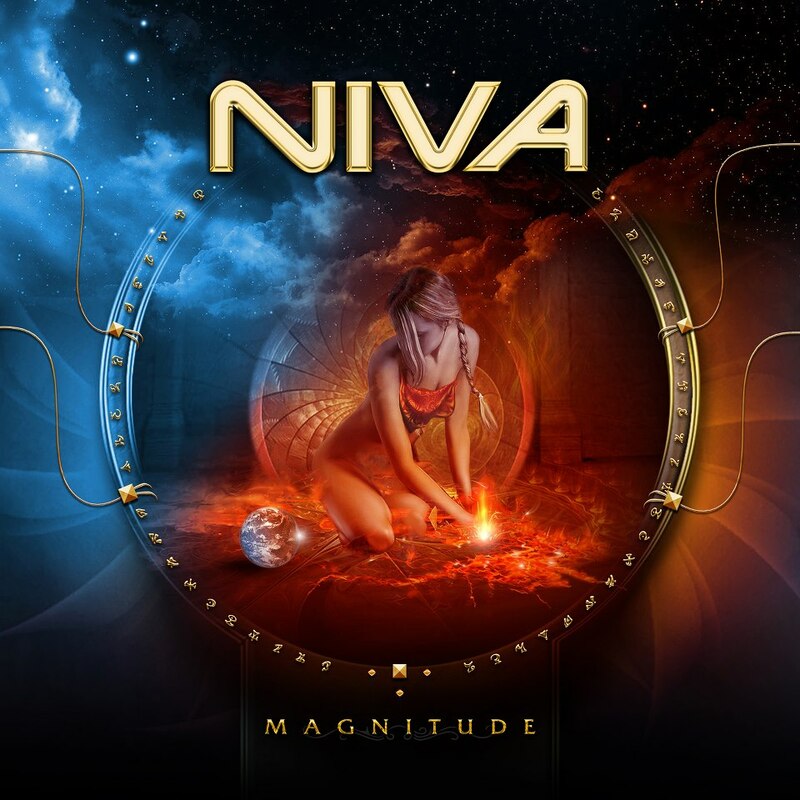 The summary above says it all and I could finish this review now, because Tony Niva delivers everything you would expect from a Swedish Melodic Rock act. That makes everything a little bit predictable, but to be honest Niva presents us everything in a very enjoyable way. 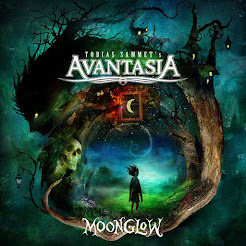 This album reminds me a lot at The Magnificent and Last Autumn's Dream - two bands I really like. "Magnitude" starts a bit disappointing, because the opener "Never Too Late" is just solid AOR fare. But this is compensated by the three following tracks: "Perfect Life" made me sing-along for a long time and "My First and Only One" is one of the best AOR gems this year. What a terrific track with a wonderful chorus. "Just Another Heartache" makes also everything right. With "In A Misty Light" we reach the first ballad - a good one, but with a bit too much pathos. "Always Somewhere" joins the tracks two to four, that means: hit! Tony Niva has a very good sense for great hooks and melodies, which will haunt you for weeks. Like I said, this is nothing new, it's typical Swedish AOR stuff, but it's very rare that almost every hook on most of the tracks hits the spot. It's the same with "Let It Shine", which comes along with a very nice guitar line. "Do It Again" shows a more "harder" side, a brisk track which will make you move. "Never Say Goodbye" delivers another anthemic chorus. I'd like to hear this one in the arenas all over the world. "I Feel So Alone" is another ballad like "In A Misty Light" - it's good, but nothing groundbreaking. So you can say always when Niva presents us a ballad he is not on the top of his game. Maybe this is just in my imagination, because the midtempo-rockers are so damn strong. Speaking about the production it's typical polished for this kind of music, a bit more edges would have been great. Speaking about the vocals I'm not so satisfied. Tony Niva is a good singer, but when he reaches the high notes it often sounds like someone has kicked him in his balls. The musicianship is tight and professional, so there is nothing to complain about. Although the songmaterial is very good I miss some kind of freshness here. Even if you are an older guy, you can dare to try something new. Sometimes the predictability spoils the fun while listening. In conclusion "Magnitude" is a fine release for all friends of Swedish AOR and Melodic Rock. You want keys, melodic guitar solos, huge choruses, a polished production, endlessly catchiness and no innovations? Then this one is for you! Recommended!